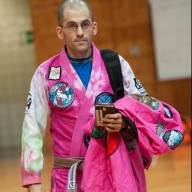 Discussion in 'Grappling Technique' started by pattheflip, Mar 22, 2008.
just wondering if anyone out there had any recommendations for grappling or bjj related blogs. i started reading stephan kesting's blog over at grapplearts.com (http://www.grapplearts.com/weblog.htm) and it seems pretty useful. too bad it doesn't have a working RSS feed though. C'mon. We gotta give Aesopian some respect. I now have over 100 free videos online. It's all free no signups. I have armbar variations, darse chokes, anaconda chokes, butterfly sweeps, lapel chokes, no go chokes, x-choke, rubber guard, De La Riva Guard, spider-guard techniques, grip breaks, guard passing, side mount escapes, reversals, leg locks and so much more. Hmm, maybe a sticky somewhere with all the sites? Maybe a general rating for each one? Who mods teh grappling forum these days anwyays?